Phanteks is quickly becoming a brand that has been putting out some of the best cases in the market. A little face lift to the Enthoo Luxe is a perfect mid life upgrade for the case. With the perfect proportions of the case, and an ample amount of room to pull off a no compromise build, is great for most users. The Luxe has a great balance of practical space, with great elegance. 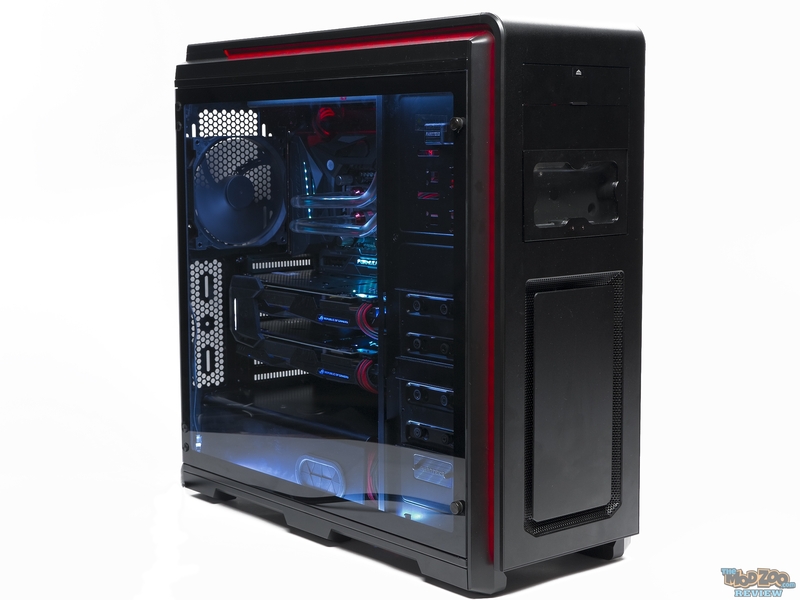 Plus, the tempered glass adds more, making it a nice looking case whether on your desk or sitting on your floor. Thanks to it’s steel frame, the Luxe is a very sturdy case, Phanteks used sand blasted aluminum panels in the front and the top to give it a nice look. I do wish that it had a brushed aluminum finish, as that to me, looks high quality (the sign of a high end product). With a price tag of $169.99, some of you might think it’s a little to pricey. But, considering that you’re getting a case with a large hinged tempered glass panel, I think the price is justified. The Luxe does get a lot of things right, and comes close to being a perfect case. What will make it a perfect case?? For me, it would be a cross between the Evolv ATX, and the Enthoo Luxe. It would be great to have the top fan mounts be offset to allow for more motherboard clearance, but that cannot be done due to the 5.25″ bays. I honestly struggled to find any real major issues with this case and as such have no issues giving it the highest honors that a munky can give ……… Five Nanners! Built in RGB lighting controller. built in Ambient RGB lighting. Support for additional RGB LED Strips. Ample mount of accessories included. Clean and easy to use internal layout. Beautiful hinged tempered glass panel.